A LOVELY new mural now adorns what was bare space in Maryland St, with the team of artists keen to continue their dream of beautifying the main drag. Laurie Astill, Dean Ford and Julie Brown spent days scrubbing, priming, painting and re-imagining a piece previously crafted by Mr Astill. Their vision was to showcase the backpacker ties Stanthorpe and the Granite Belt has and make it a piece of street art everyone can view. "What better subject matter?” Mr Astill said. "We rely so heavily on backpackers here in the community. I met the guys (depicted in the mural) a few years back now and that was the exact pose they were in. Contributing artist Dean Ford said he was pleased with the finished product. 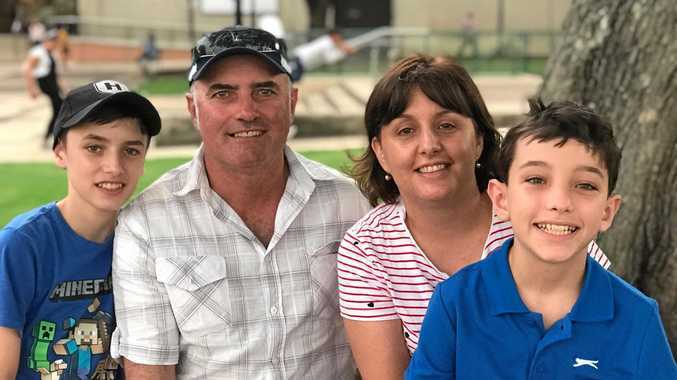 Southern Downs councillor Rod Kelly said the work was commissioned and undertaken thanks to funding through the Regional Arts Development Fund. "The RADF contribution is a worthy one. 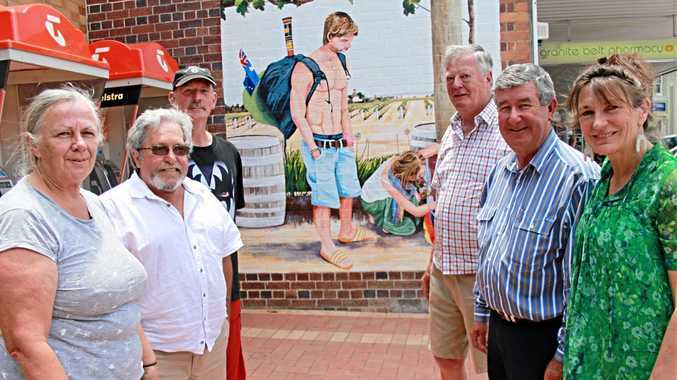 It really is putting Stanthorpe and the Granite Belt on the map with murals. "Round one of the RADF, $105,000, will soon be announced for 2018-19,” he said. Not content to take a break, the artists will begin a new streetscape in coming weeks. They'll produce something in the piazza that celebrates the region's Italian heritage. "It's to celebrate our Italian roots here and the Italian influence in Stanthorpe. It will be done before Christmas we expect,” art gallery director Mary Findlay said.